Sojourner truth houses is a family low income housing apartment subsidized by the federal governments hud (housing and urban development division). Contact sojourner truth houses for complete details on the current vacancies and housing applications. Sinclair houses is a family low income housing apartment subsidized by the federal governments hud (housing and urban development division). Contact sinclair houses for complete details on the current vacancies and housing applications. Ruppert house is a family low income housing apartment subsidized by the federal governments hud (housing and urban development division). contact ruppert house for complete details on the current vacancies and housing applications. Rivlin houses is a family low income housing apartment subsidized by the federal governments hud (housing and urban development division). Contact rivlin houses for complete details on the current vacancies and housing applications. Riverview i apartments is a family low income housing apartment subsidized by the federal governments hud (housing and urban development division). Contact riverview i apartments for complete details on the current vacancies and housing applications. Revive 103 rehab is a family low income housing apartment subsidized by the federal governments hud (housing and urban development division). Contact revive 103 rehab for complete details on the current vacancies and housing applications. Pueblo nuevo site i is a family low income housing apartment subsidized by the federal governments hud (housing and urban development division). Contact pueblo nuevo site i for complete details on the current vacancies and housing applications. Project linkage is a senior low income housing apartment subsidized by the federal governments hud (housing and urban development division). Contact project linkage for complete details on the current vacancies and housing applications. Prince hall plaza is a senior low income housing apartment subsidized by the federal governments hud (housing and urban development division). Contact prince hall plaza for complete details on the current vacancies and housing applications. Positively 3rd street is a low income housing apartment subsidized by the federal governments hud (housing and urban development division). Contact positively 3rd street for complete details on the current vacancies and housing applications. Polyclinic apartments is a family low income housing apartment subsidized by the federal governments hud (housing and urban development division). Contact polyclinic apartments for complete details on the current vacancies and housing applications. Paul robeson houses is a family low income housing apartment subsidized by the federal governments hud (housing and urban development division). contact paul robeson houses for complete details on the current vacancies and housing applications. Metro north gardens is a family low income housing apartment subsidized by the federal governments hud (housing and urban development division). Contact metro north gardens for complete details on the current vacancies and housing applications. Metro north court is a family low income housing apartment subsidized by the federal governments hud (housing and urban development division). Contact metro north court for complete details on the current vacancies and housing applications. Johanna i is a family low income housing apartment subsidized by the federal governments hud (housing and urban development division). Contact johanna i for complete details on the current vacancies and housing applications. Jamies place i, ii, iii is a low income housing apartment subsidized by the federal governments hud (housing and urban development division). Contact jamies place i, ii, iii for complete details on the current vacancies and housing applications. Inwood houses is a family low income housing apartment subsidized by the federal governments hud (housing and urban development division). Contact inwood houses for complete details on the current vacancies and housing applications. Impac houses is a family low income housing apartment subsidized by the federal governments hud (housing and urban development division). Contact impac houses for complete details on the current vacancies and housing applications. Icarus apartments is a family low income housing apartment subsidized by the federal governments hud (housing and urban development division). Contact icarus apartments for complete details on the current vacancies and housing applications. Hudson view iii is a family low income housing apartment subsidized by the federal governments hud (housing and urban development division). Contact hudson view iii for complete details on the current vacancies and housing applications. Hudson view i is a family low income housing apartment subsidized by the federal governments hud (housing and urban development division). Contact hudson view i for complete details on the current vacancies and housing applications. Haven plaza is a family low income housing apartment subsidized by the federal governments hud (housing and urban development division). Contact haven plaza for complete details on the current vacancies and housing applications. Harlem west iv is a family low income housing apartment subsidized by the federal governments hud (housing and urban development division). Contact harlem west iv for complete details on the current vacancies and housing applications. Harlem west iii is a family low income housing apartment subsidized by the federal governments hud (housing and urban development division). Contact harlem west iii for complete details on the current vacancies and housing applications. Harlem west ii is a family low income housing apartment subsidized by the federal governments hud (housing and urban development division). Contact harlem west ii for complete details on the current vacancies and housing applications. Harlem interfaith is a family low income housing apartment subsidized by the federal governments hud (housing and urban development division). Contact harlem interfaith for complete details on the current vacancies and housing applications. Orestein building is a senior low income housing apartment subsidized by the federal governments hud (housing and urban development division). Contact orestein building for complete details on the current vacancies and housing applications. Nueva era apartments is a family low income housing apartment subsidized by the federal governments hud (housing and urban development division). Contact nueva era apartments for complete details on the current vacancies and housing applications. Northtown phase ii is a family low income housing apartment subsidized by the federal governments hud (housing and urban development division). Contact northtown phase ii for complete details on the current vacancies and housing applications. New goddard riverside is a senior low income housing apartment subsidized by the federal governments hud (housing and urban development division). Contact new goddard riverside for complete details on the current vacancies and housing applications. Ms houses is a family low income housing apartment subsidized by the federal governments hud (housing and urban development division). Contact ms houses for complete details on the current vacancies and housing applications. Morningside i is a family low income housing apartment subsidized by the federal governments hud (housing and urban development division). Contact morningside i for complete details on the current vacancies and housing applications. Morningside housing is a family low income housing apartment subsidized by the federal governments hud (housing and urban development division). Contact morningside housing for complete details on the current vacancies and housing applications. Marseilles apartments is a senior low income housing apartment subsidized by the federal governments hud (housing and urban development division). Contact marseilles apartments for complete details on the current vacancies and housing applications. Marlene estates is a family low income housing apartment subsidized by the federal governments hud (housing and urban development division). Contact marlene estates for complete details on the current vacancies and housing applications. Manhattan west is a senior low income housing apartment subsidized by the federal governments hud (housing and urban development division). Contact manhattan west for complete details on the current vacancies and housing applications. Manhattan plaza is a family low income housing apartment subsidized by the federal governments hud (housing and urban development division). Contact manhattan plaza for complete details on the current vacancies and housing applications. Malcolm x ii phase b is a family low income housing apartment subsidized by the federal governments hud (housing and urban development division). Contact malcolm x ii phase b for complete details on the current vacancies and housing applications. Malcolm x ii phase a is a family low income housing apartment subsidized by the federal governments hud (housing and urban development division). Contact malcolm x ii phase a for complete details on the current vacancies and housing applications. Lower east side ii is a family low income housing apartment subsidized by the federal governments hud (housing and urban development division). Contact lower east side ii for complete details on the current vacancies and housing applications. Lower east side i is a family low income housing apartment subsidized by the federal governments hud (housing and urban development division). Contact lower east side i for complete details on the current vacancies and housing applications. Los tres unidos is a family low income housing apartment subsidized by the federal governments hud (housing and urban development division). Contact los tres unidos for complete details on the current vacancies and housing applications. Logan gardens is a senior low income housing apartment subsidized by the federal governments hud (housing and urban development division). Contact logan gardens for complete details on the current vacancies and housing applications. Lexington court is a low income housing apartment subsidized by the federal governments hud (housing and urban development division). Contact lexington court for complete details on the current vacancies and housing applications. Lenoxville apartments is a family low income housing apartment subsidized by the federal governments hud (housing and urban development division). Contact lenoxville apartments for complete details on the current vacancies and housing applications. Lands end ii is a family low income housing apartment subsidized by the federal governments hud (housing and urban development division). Contact lands end ii for complete details on the current vacancies and housing applications. Bonifacio cora texidor is a senior low income housing apartment subsidized by the federal governments hud (housing and urban development division). Contact bonifacio cora texidor for complete details on the current vacancies and housing applications. Bridge revitalization is a family low income housing apartment subsidized by the federal governments hud (housing and urban development division). Contact bridge revitalization for complete details on the current vacancies and housing applications. Canaan iv towers is a family low income housing apartment subsidized by the federal governments hud (housing and urban development division). Contact canaan iv towers for complete details on the current vacancies and housing applications. Audubon apartments is a family low income housing apartment subsidized by the federal governments hud (housing and urban development division). Contact audubon apartments for complete details on the current vacancies and housing applications. Audubon avenue is a family low income housing apartment subsidized by the federal governments hud (housing and urban development division). Contact audubon avenue for complete details on the current vacancies and housing applications. Capitol apartments is a family low income housing apartment subsidized by the federal governments hud (housing and urban development division). Contact capitol apartments for complete details on the current vacancies and housing applications. Caparra la nueva is a family low income housing apartment subsidized by the federal governments hud (housing and urban development division). Contact caparra la nueva for complete details on the current vacancies and housing applications. Carnegie park is a family low income housing apartment subsidized by the federal governments hud (housing and urban development division). Contact carnegie park for complete details on the current vacancies and housing applications. Charles hill towers is a family low income housing apartment subsidized by the federal governments hud (housing and urban development division). Contact charles hill towers for complete details on the current vacancies and housing applications. Fania gersham house is a senior low income housing apartment subsidized by the federal governments hud (housing and urban development division). Contact fania gersham house for complete details on the current vacancies and housing applications. Em moore houses is a senior low income housing apartment subsidized by the federal governments hud (housing and urban development division). Contact em moore houses for complete details on the current vacancies and housing applications. Echo apartments is a senior low income housing apartment subsidized by the federal governments hud (housing and urban development division). Contact echo apartments for complete details on the current vacancies and housing applications. East river apartments is a family low income housing apartment subsidized by the federal governments hud (housing and urban development division). Contact east river apartments for complete details on the current vacancies and housing applications. East 104th street is a family low income housing apartment subsidized by the federal governments hud (housing and urban development division). Contact east 104th street for complete details on the current vacancies and housing applications. Dunwell plaza is a senior low income housing apartment subsidized by the federal governments hud (housing and urban development division). Contact dunwell plaza for complete details on the current vacancies and housing applications. Dona petra santiago is a low income housing apartment subsidized by the federal governments hud (housing and urban development division). Contact dona petra santiago for complete details on the current vacancies and housing applications. Deschler apartments is a family low income housing apartment subsidized by the federal governments hud (housing and urban development division). Contact deschler apartments for complete details on the current vacancies and housing applications. Columbus townhouse is a family low income housing apartment subsidized by the federal governments hud (housing and urban development division). Contact columbus townhouse for complete details on the current vacancies and housing applications. Churchill house is a family low income housing apartment subsidized by the federal governments hud (housing and urban development division). Contact churchill house for complete details on the current vacancies and housing applications. Chung pak is a elderly low income housing apartment subsidized by the federal governments hud (housing and urban development division). Contact chung pak for complete details on the current vacancies and housing applications. French apartments is a family low income housing apartment subsidized by the federal governments hud (housing and urban development division). Contact french apartments for complete details on the current vacancies and housing applications. Gateway i apartments is a family low income housing apartment subsidized by the federal governments hud (housing and urban development division). Contact gateway i apartments for complete details on the current vacancies and housing applications. Gladys hampton houses is a family low income housing apartment subsidized by the federal governments hud (housing and urban development division). Contact gladys hampton houses for complete details on the current vacancies and housing applications. 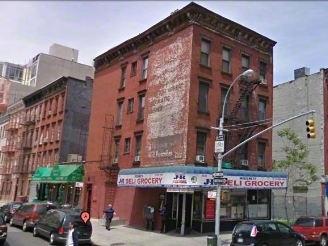 529 west 29th street is a low income housing apartment subsidized by the federal governments hud (housing and urban development division). Contact 529 west 29th street for complete details on the current vacancies and housing applications.